This car was purchased on eBay in August 2003. 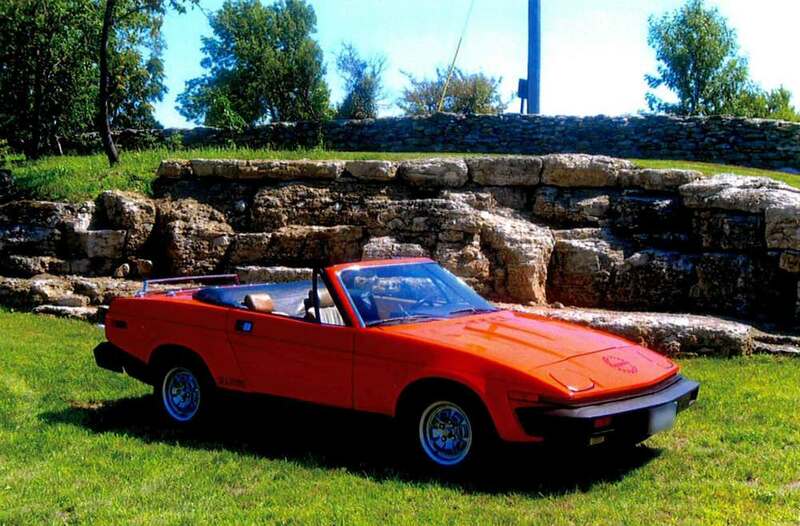 I had two earlier TR7s — one sunroof coupe in high school and a TR7 Spider DHC in college. I mourned the loss of both of them, so when I was able, I purchased this car. The car was owned by a British mechanic in Arizona. It is a 1980 Triumph TR7, DHC, 30th anniversary limited edition. I won the auction and shipped the car, sight unseen, to New York State. The car was in very good shape, but the interior was sun bleached. I started a minor restoration with my son, with our first of several orders from Victoria British — new door panels, rear panel, knee pads and armrest. I later ordered new alloy wheels and many small parts. I have many great experiences in the ten plus years of ownership. I will always remember going to drive-in movies when my son was very young. Drives to the beach and many local car shows are the current trend. I am a local college professor, so it is great to drive the car to campus during the summer and fall semesters. I have over 10,000 miles on the car during my ownership. The ownership stories and the restoration make their way into many college lectures. The students generally have no idea what the car is. It still looks reasonably modern! Looking forward to the next ten years!